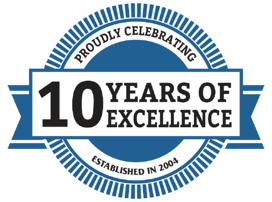 Epiphany is excited to announce that July 2014 marks our 10th year of business. As we celebrate our company’s success this year, we would like to take a look back and share some words from our founders about how we got here. Russ adds some commentary on his motivation to start a new company. “I have always worked for smaller companies. After a small company I worked for was purchased by a global medical company, my ability to quickly resolve customer issues and enhancement requests went away. New development moved at a very slow pace. I knew our idea for Epiphany was too good to pass up." Once a company of just a handful of talented and dedicated individuals with a plan and a passion, Epiphany now has 50 employees across the nation and abroad with its headquarters in Midlothian, VA and service and support center located in Durham, NC. Epiphany’s Cardio Server is the fastest growing ECG management system in the country with over 600 hospitals using our product worldwide. We are proud to have hospital customers all over the US, as well as in Canada, South Africa, Australia, New Zealand, Malaysia, the Netherlands, Portugal, the UK, Italy, and Switzerland. Cardio Server was built with clinical customer requests and hospital department workflow improvements in mind. As we celebrate our 10th year of business and the journey that has led to our success today, we thank our customers who have made our vision and our progress possible. Epiphany Healthcare simplifies diverse clinical workflow using one consolidated EMR interface. Epiphany is committed to serving its customers’ needs through product innovation, the delivery of exceptional service, and an unwavering dedication to interoperability. Discover why Epiphany is the preferred provider when managing multi-vendor, multi-modality diagnostic test data. Contact us for more information.